Considering I have four current-ish systems (the 3DS, PSP, Xbox 360 and Wii), you could be forgiven for assuming I'd conjure up four "Favorite Games of 2012" posts and not just two. The sad fact is, though, that I bought so few games for the PSP, Xbox 360 and Wii this past year that I feel it would be inappropriate for me to devote entire posts to those systems. So, I'm devoting one to my favorite 3DS game of 2012 and one to my five favorite non-3DS games of the year. 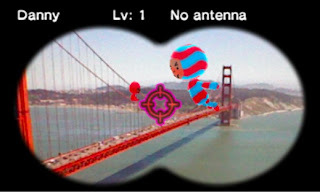 As for the 3DS game I decided to honor in this particular post: What more can I say about it, really? I've written so many posts about it in the last few months that anything I say here is bound to be a rehash of something I mentioned at last once before. Given that, may I direct you to my "somewhat gay" review of this innovative, Genius Sonority-made RPG? Something that I don't believe I said outright in that review that I'd like to share now, though, is that I had more fun with this game than any other I've played this year--and that includes a lot of games (some of which were released for the 3DS, and some of which were not). It's important to note that, I think, because it's still the most important aspect or attribute of any game I decide to play these days. Basically. Yes, sometimes I want to be intrigued or moved or scared, but most of the time I want to be entertained. "Fun" and "entertaining" also are words I'd use to describe the game I consider to be my second-favorite 3DS release, by the way--with that game being Square Enix's superb Theatrhythm Final Fantasy. Had THE "DENPA" MEN not made it to our shores this year, I surely would have shined the spotlight on this adroitly crafted rhythm title, which I found to be far more interesting and enjoyable (and difficult!) than I imagined it would be when it was first announced. Even though I knew you really enjoyed The Denpa Men bacause of all the other posts about it, I'm still a bit surprised that it is your FAVOURITE of 2012. I guess I would go with "Kingdom Hearts DDD", "FF Thearhythm" or "Paper Mario Sticker Star". But to be honest: I haven't played The Denpa Men so much yet :( I was a bit disappointed that there were no big announcement about the EU-release of TDM. Of course this doesn't make the game bad or something. I just wanted to say that ^^ Maybe you remember that I wasen't even aware that the game was already released here when you told me. The fact that it is a digital-title makes it less attractive to me I guess, just a little bit. Hmmm... but I think I will forget all the great 2012-titles in the first second I start playing Animal Crossing New Leaf next year. I wouldn't put too much in The 'Denpa' Men being released to little fanfare in Europe. It wasn't released to much fanfare in the US, either. I think a big part of that, though, is that it's a digital title. Anyway, give it a chance. Spend some more time with it. If, in the end, it isn't your cup of tea, that's OK. It definitely was my cup of tea, though. I want more! 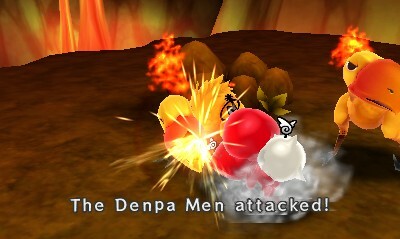 Soooo glad to hear you're enjoying The 'Denpa' Men! I know it's not for everybody, but I think it's perfect for those who like tough RPGs with turn-based battles. As for Elminage Original: I kind of wish you hadn't bought it! You'll see why I'm saying that tomorrow. It isn't because I hate the game, BTW. In fact, I'm enjoying it quite a bit at the moment, although it's DEFINITELY not for everybody. Woof! Yeah, I picked up Elminage. Actually, I should say I was *given* Elminage. I was all set to buy it in early 2013, mind you, when I received a tweet from the folks responsible for (publisher) UFO Interactive's PR saying they would provide me with a courtesy PSN code for the game. I took them up on it, of course, and have put a few hours into it so far. Really, it's too bad about the translation and other issues, etc., as I think the overall game is really nice. As it is, though, I think many folks who buy it will be disappointed in it, since it very much feels like an unfinished product. Still, I'm personally enjoying it enough to keep playing it--and I'm sure I'll continue playing it until I get far enough to review it. It'll be interesting to see how I feel about it when it comes time to do that! I was shocked by it. I still need to get back to it. But it's nice that I feel like I can jump back in with no problem, as there isn't really much of a story to lose, and the play is easy enough that I won't feel rusty.